Introducing our “Blessing Box”. 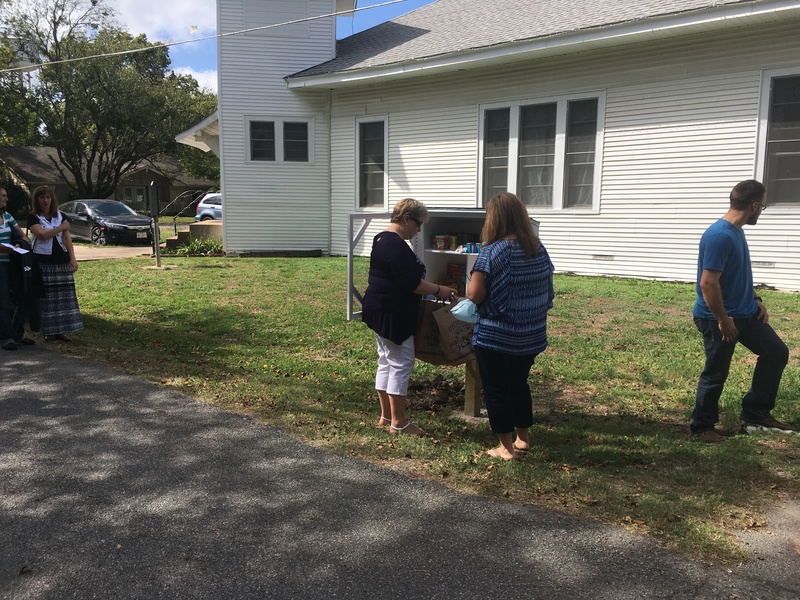 Today we had an impromptu dedication for this new outreach opportunity. 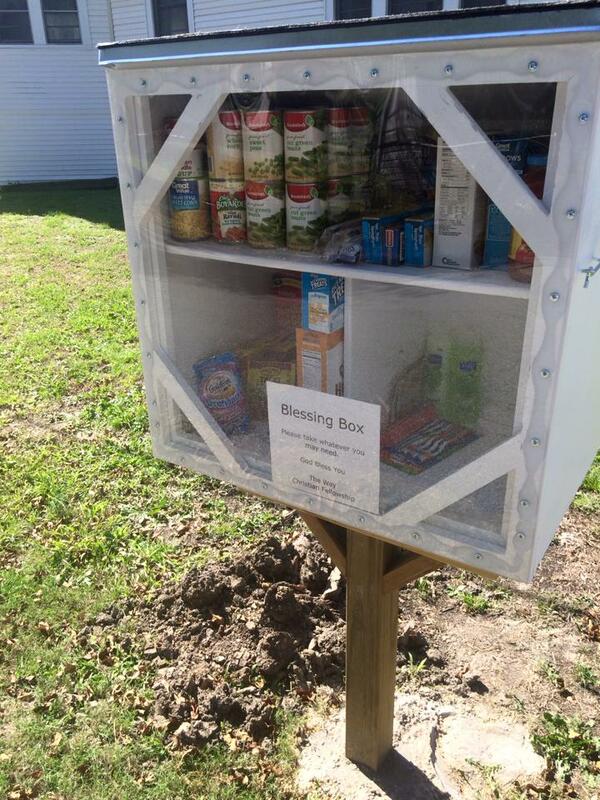 The Blessing Box is a self-serve food-pantry of sorts to help those in need in the community. Our goal is to keep it stocked with nonperishable food items and hygiene products. Thanks to the Jenkins family for their heart and hands in this work. 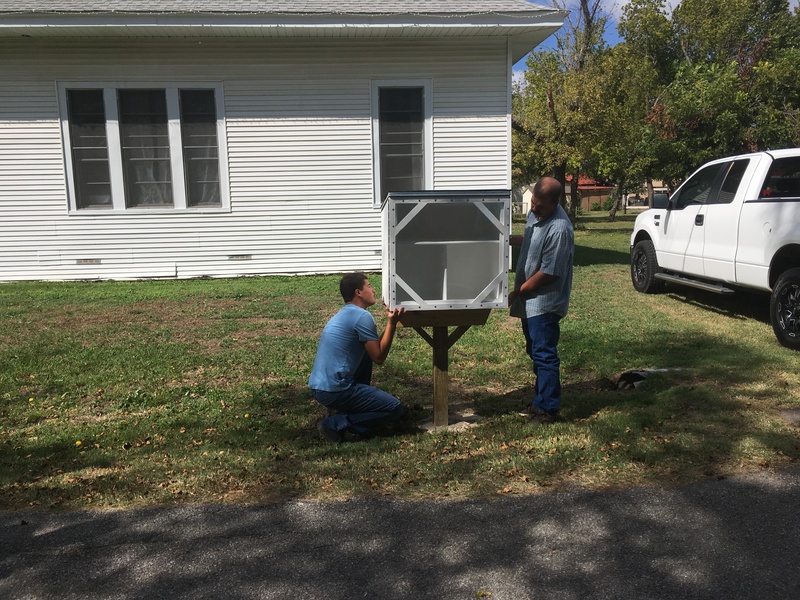 Kristi came up with the idea then Steve and Mason built the weather-proof outdoor pantry. Today we installed it and prayed over it. May God be praised in this outreach and may people come to know the love of Jesus, the bread of life.